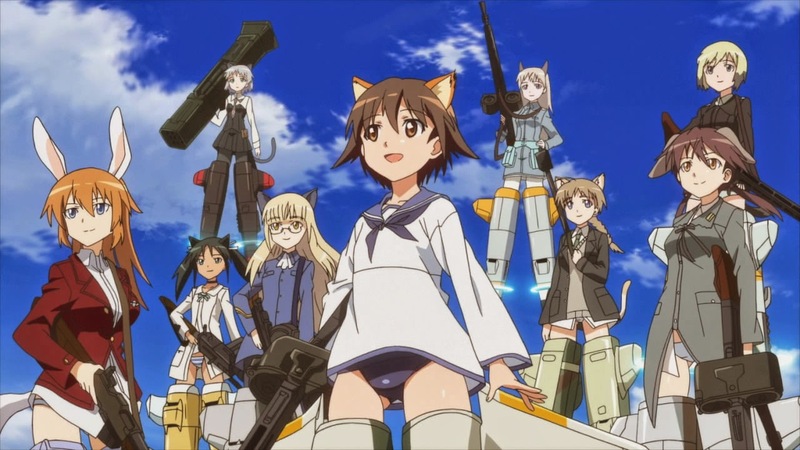 Jays' Tee Vee: Strike Witches: Why Did I Watch This? Mio Sakamoto and Minna Wilcke seem to be missing from this lineup. I don't believe I ACTUALLY watched this silly thing! You Tubed it over a period of a few nights. The historical references kept me glued to it. The Yeager/Lucchinni buddy pairing was amusing and the confrontation between Barkhorn and Marsaille had me thinking "Wile E. Coyote vs Huckleberrry Hound". Otherwise it was really nothing more than a lesboboobgrabpantyshotparade. Lucchinnis' enthusiasm in that direction had me wondering. I'll never get that time spent watching this back, but I was amused enough not to regret it too much. Wikipedia article on Strike Witches here. Chuck Yeagers' official website here.